Palmer VINTAGE is always a subtle association of a particular climatic year and the Palmer style. 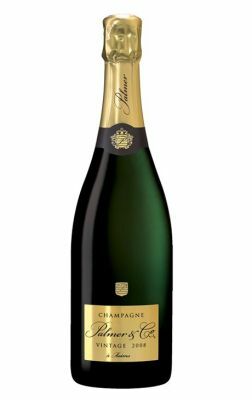 Consisting exclusively of Premier and Grand Crus from the Montagne de Reims area, this champagne of rare complexity also has the typical charming elegance of Palmer&Co. Intense aromas of crisp fruits and citrus are mingled with delicate notes of toasted brioche and hazelnut. Ample and sophisticated on the palate, the wine settles to a perfect balance between power and freshness.